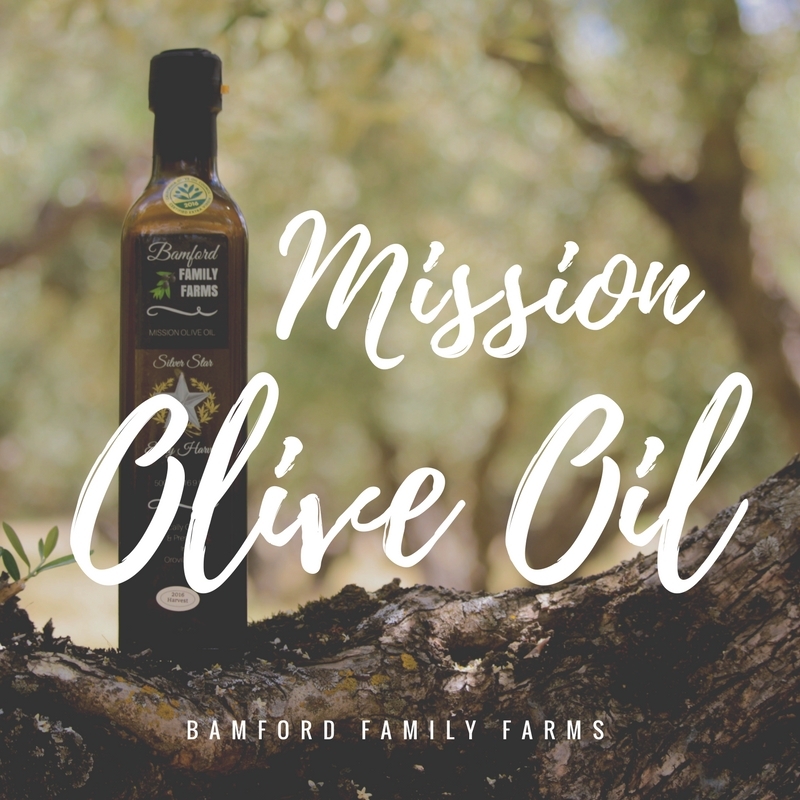 This oil comes from century-old mission olive trees. The first olive trees in California were brought by Franciscan monks over 200 years ago, who journeyed along the coast on their trek to establish missions. The trees adapted well to the Mediterranean climate of Northern California and produced what are now known as Mission Olives. We recently acquired these orchards that have been producing such high-quality oil. In the past, this oil has been sold under other names and has consistently won awards in major competitions. Now we are branching out under our own name and branding. 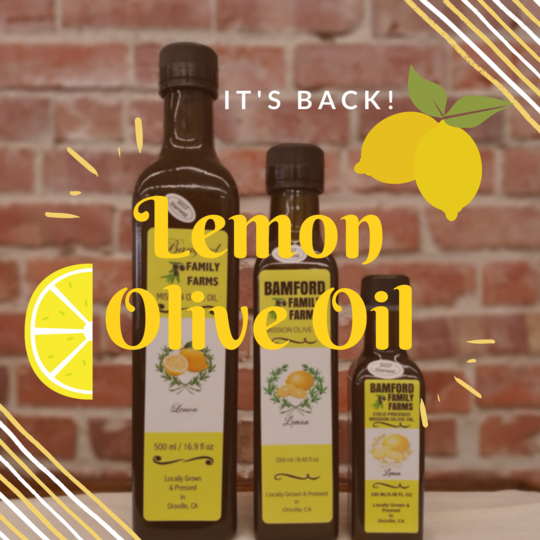 Making available quality, pure olive oil to local businesses and individuals is our goal. We are currently at local farmers markets and events.